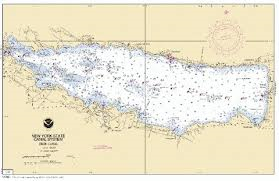 Oneida Lake is located 10 miles north of Syracuse in both Oneida and Oswego Counties. In the early 1990s zebra mussels were introduced to the lake since then the water clarity has greatly improved. Oneida aquatic vegetation consists of milfoil, Coontail and curly cabbage. Typically the grass grows is along the shorelines and in the larger bays. 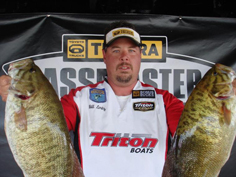 Oneida has long been known for its great walleye fishing but over the past 10 years it has become one of the most popular stops for bass tournaments including the Bassmasters and FLW. 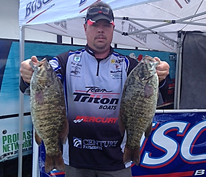 Oneida Lake always poses the question during a bass tournament - largemouth bass or smallmouth bass - which will win? The main forage for the largemouth bass and smallmouth bass in Oneida are yellow perch, gizzard shad and crayfish. 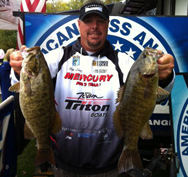 Smallmouth bass are very plentiful in numbers ranging from 2 1/2 - 3 1/2 pounds.